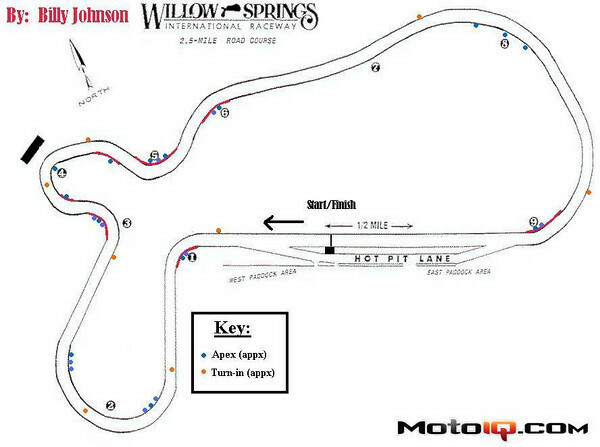 Willow Springs International Raceway (WSIR), the “Fastest Road in the West” is the oldest purpose-built road course in North America and has remained virtually unchanged since its creation in 1953. The 2.5 mile nine-turn track earned its nickname from its medium to high-speed corners including the infamous Turns 8 and 9. 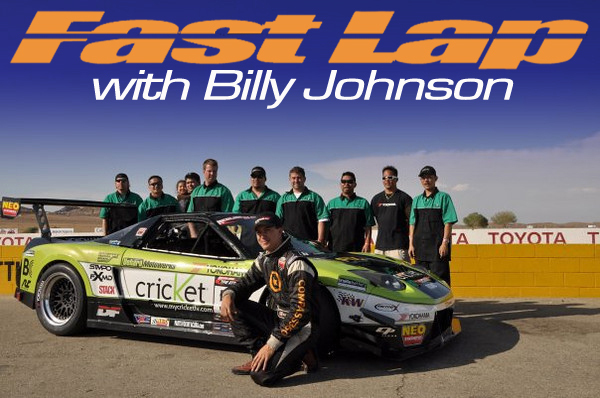 While not the most technical track out there, “Big Willow” puts the mechanical and aero grip of a car to the test while high horsepower cars can see over 160mph. Because of this, the average speed of a car is faster here than almost any other track in the country. The words “ballsy” are often thrown around when talking about WSIR. While the straightaway speeds and corresponding brake application can vary greatly between a Spec Miata and my 800hp NSX, it is important to find a static point (no rocks, cones, or rabbits) to judge your braking points at. While I had significant threshold braking from over 160mph, a lower horsepower car might only briefly ‘brush’ of the brakes. In both cases a reference point is crucial for having consistent entry speeds that will lead to improved lap times. Most of the turns at WSIR are long sweeping corners that really bring out the steady-state balance of a car. I often see people who are new to the track turn-in too quickly and have overly aggressive steering inputs. It is important to be smooth and turn in with much slower hands than you are use to around the long corners of this track. Turn 1 is a 90 degree left-hand corner with a lot of banking to it that can sling-shot you through the corner when using the banking effectively. Turn in a little early with VERY slow hands while trailing off the brakes to load the right side of the car up. Tighten your hands to get down to the apex curbing while starting to apply maintenance throttle. Stay close to the curbing for a long apex and use the added grip from the banking in the middle of the corner to get the majority of the turning done. Depending on the balance and power of the car, squeeze to full throttle. Once you can see down the next straight, slowly release the car to track out. It’s important to not track-out early since the banking falls away at the end of the corner. 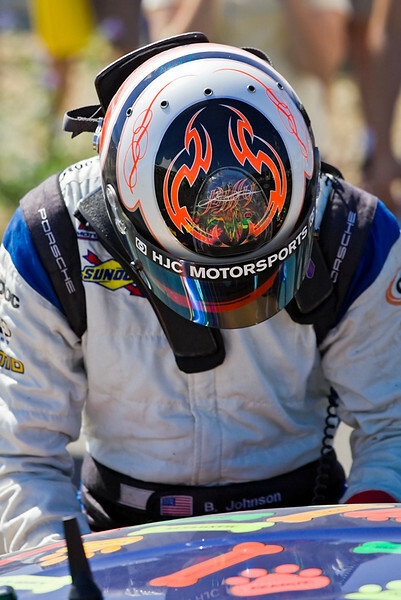 Make sure to “release” the car to track-out, you don’t want the car to be bound-up, scrubbing the front tires with a lot of steering input at track-out. Enter the corner from the middle-to-left side of the road. It’s not always necessary to turn-in from the edge of the road but it’s important to not ‘creep’ to the right side of the road before the turn even starts. Turn in with slow hands to load the suspension up so it’s stable and not ‘wallowing’ around at the apex. Apex early and in the middle of the turn, slowly let the car drift 1-1.5 car widths from the right side of the road (which I did not do in the video). Pick up maintenance throttle and be patient to tighten the line to the second apex which is pretty late in the corner and almost blind until you get there. Slowly tighten the line back to the right side of the road as you apply full throttle and apex just when you can see the next straight. Since the road looses camber/banking at the end of the corner, it is important to have a late apex and release the car to track-out. It is not necessary to track-out all the way to the left side of the road, but it is very important to get back to the right side of the road to set up for braking into T3.